For the last part of our road trip before our return to Seattle, we decided to take it slow and proceeded along the beautiful Oregon Highway 101 coastal road. Our first destination was to Bandon for some rest and relaxation (road trips are tiring!). En route to Bandon, we passed through many small and beautiful towns and I could easily imagine John Steinbeck and Charley plying these same roads. This is a part of America where towns still have their own character and we went many miles without seeing a strip mall or a Walmart. The same could be said of our barn at home but that’s a story for another blog! 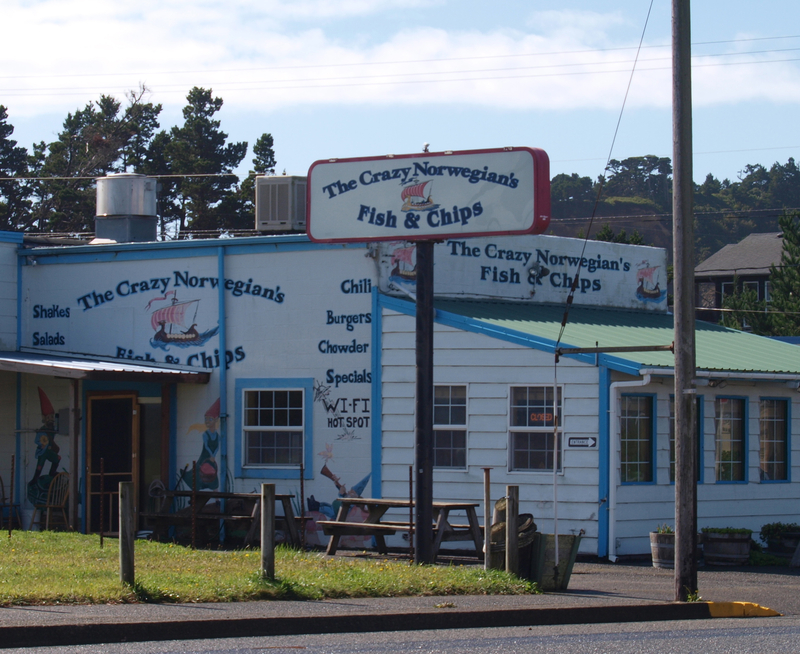 Imagine cramming in all your Norwegian grandmother’s memorabilia in one room and you’d be close to what this place looks like on the inside. We had booked a beachfront property at Bandon on the recommendation of my cousins Jeff and Janis, discerning travellers like us. If Jeff and Janis ever recommend anything to you, do it! 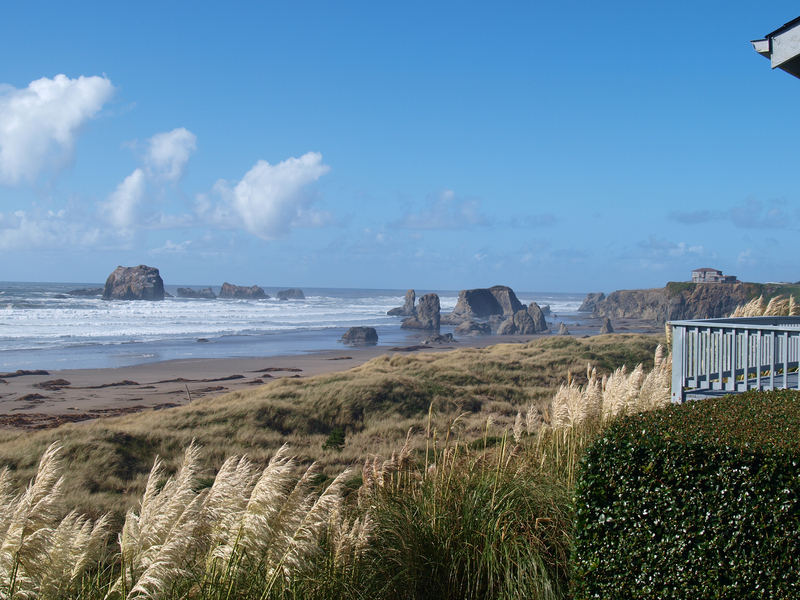 If you don’t believe me, the view from the balcony of our Bandon retreat should convince you. 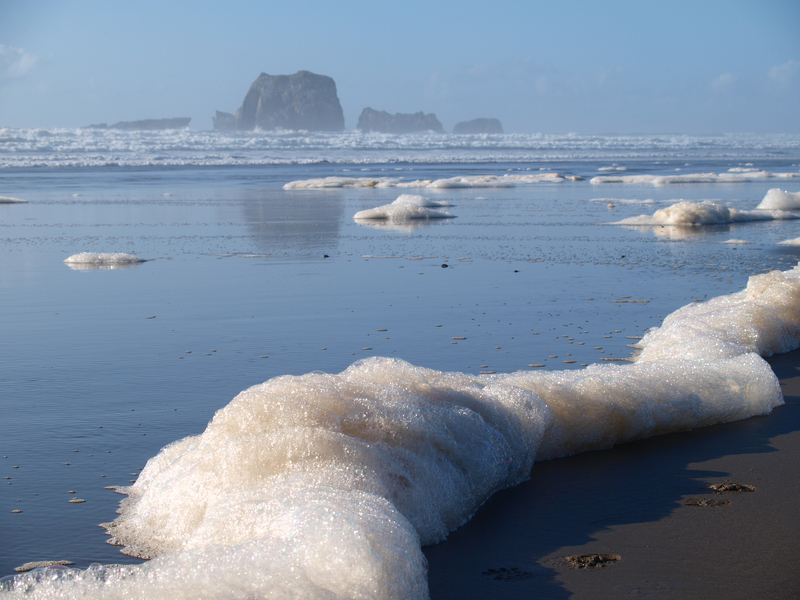 Our time in Bandon was full of, well, time. We had little to do and did a lot of it. Wandering the beach was both relaxing and challenging. 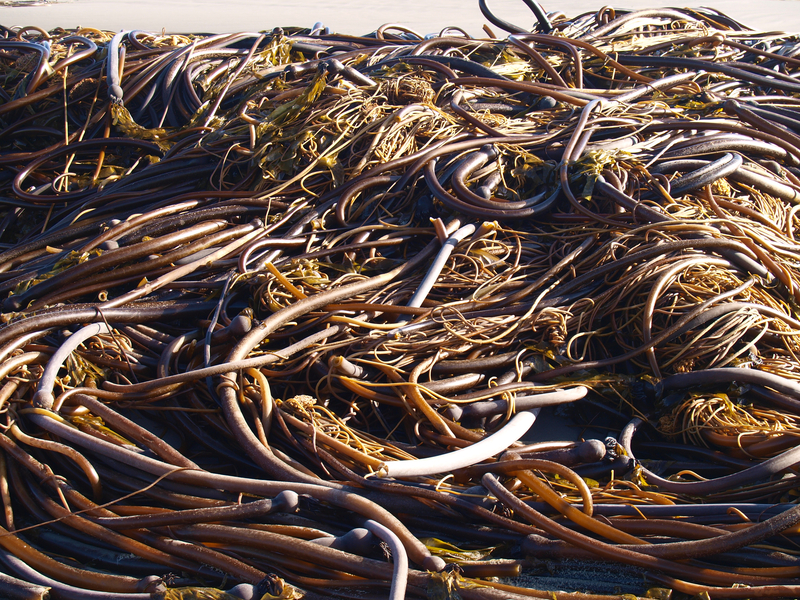 A few days before we arrived, there had been a powerful storm that swept a most curious array of seaweed on to the beach. There was some activity for me while we were in Bandon. I had two separate job interviews via Skype and, given the 9-hour time difference between Bandon and Oslo, that meant two very early mornings for me. It also meant two magical sunrise jogs with the beach to myself. I’ve already been advised that I’ve been passed up for one of the jobs and am maintaining a guarded optimism for the second one. Even if that doesn’t come through, the early-morning jogs more than compensate for the sting of rejection!